I’m excited that my next book is available for pre-order. 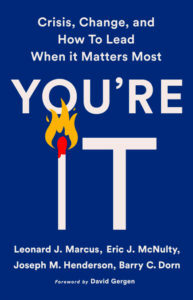 Crisis, Change, and How to Lead Wh en it Matters Most: You’re It distills 15 years of practice and research on leading in high stakes, high pressure situations into a pragmatic framework with field-tested tools. 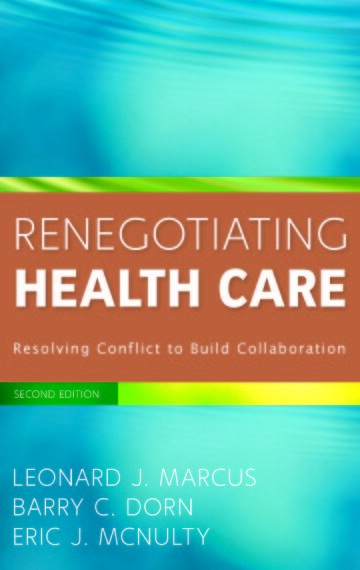 Thanks to co-authors Leonard Marcus Joseph M. Henderson and Barry Dorn for the collaboration. We could only have done this together. Thanks also to the smart and resilient leaders who let us shadow or interview them. Drawn from the private, public, and non-profit sectors, their stories animate the concepts and illustrate the implication of the techniques in the most difficult of times. The publication date is June 11, 2019.